Bass Sekolah are a duo. They make music in the jungle – quite literally. 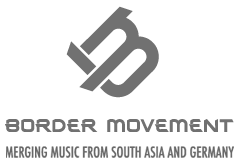 Their studio is located right outside of the Berembun forest reserve, in Malaysia, a cozy place frequented by global players such as Modeselektor, Africa Hitech, Daedelus and Perera Elsewhere. The group has played some of the most important festivals and club nights in Asia (incl. China, India, Dubai, Malaysia and Singapore). The first ever release was even a collaboration with Phon.o for Berlin’s illustrious (and now defunct) 50Weapons imprint. Their official debut single is called ‘Lighthouse’ and was released on Switzerland’s Mouthwatering Records.